This first offering from Dallas based Blue22 feels like a wild foray into new territories. Despite establishing themselves as an exciting new live band, via a repertoire of classic covers and hits, it’s fair to say that “Sessions” is more of a work in progress than a polished debut. Coming from a bunch of friends who found each other at work, the title track and flagship song for the E.P “Sessions” has a pretty slick production and a catchy guitar lick, combined with an energetic bass and a nice beat. It’s a great listen if you’re not really paying attention, but who on earth put the space cannon drum-noise-effect-thing in there? It’s genuinely distracting and unfortunately as soon as you hear it echoing around in the background, you just can’t ignore it. But despite this little niggle, the song is brim-full of happy vibes and simple fun. It’s nice, especially the jazzed up breaks and light touches of harmony. What’s harder to understand is the distorted, amped up, totally out of place guitar solo that barges around halfway through. We all know there’s a time and a place for wicked solos, after the song has had a chance to build, when the feeling is right, whatever. Unfortunately this one feels like it’s crammed into somewhere it shouldn’t be, like jam on a pizza. They advertise this blend of rock and reggae as a balance between “emotion and savagery” but it actually seems as though members of the band have very different ideas on the direction the music is taking, which we’ll get to later. “Night Time Woman” opens with more space age effects, but thankfully finds its feet in a comfortingly old-school chord progression, albeit with a slightly grimier tone. The blend of vocalists really accentuates the band’s ability here, and where “Sessions” showcases their sense of fun, “Night Time Woman” is an expression of their roots. And this guitar solo fits perfectly, as do the harmonies and beats. Just someone please take out the silly effects! At over 6 minutes this song is also a bit of a bore after the initial 3. 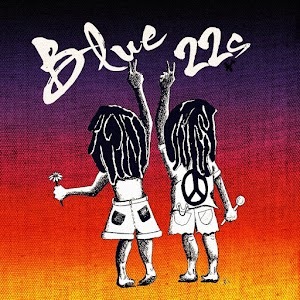 “All For You” is a great track, where Blue22 seem truly at home. The beat is verging on 80s cool, with unexpected chord sequences and imaginative rhythms keeping us interested for the much more tangible 3:34. The only stutter is again to do with identity: in the midst of a lovely, quite melancholy love song, an overly aggressive middle section has been wedged in. Why? It’s only afterwards that we can happily return to the original song, but by the end it’s digressed again into distortion. It’s so close, and yet so far. The remainder of the songs are equally diverse in tone, feel and production, with “Not For Show” being the undisputed highlight. Like “All For You” before it (the good parts), it feels far more comfortable than the others, meshing good harmonies, using the best of both vocalists, and thankfully there are no silly effects. And for this reason it stands out. 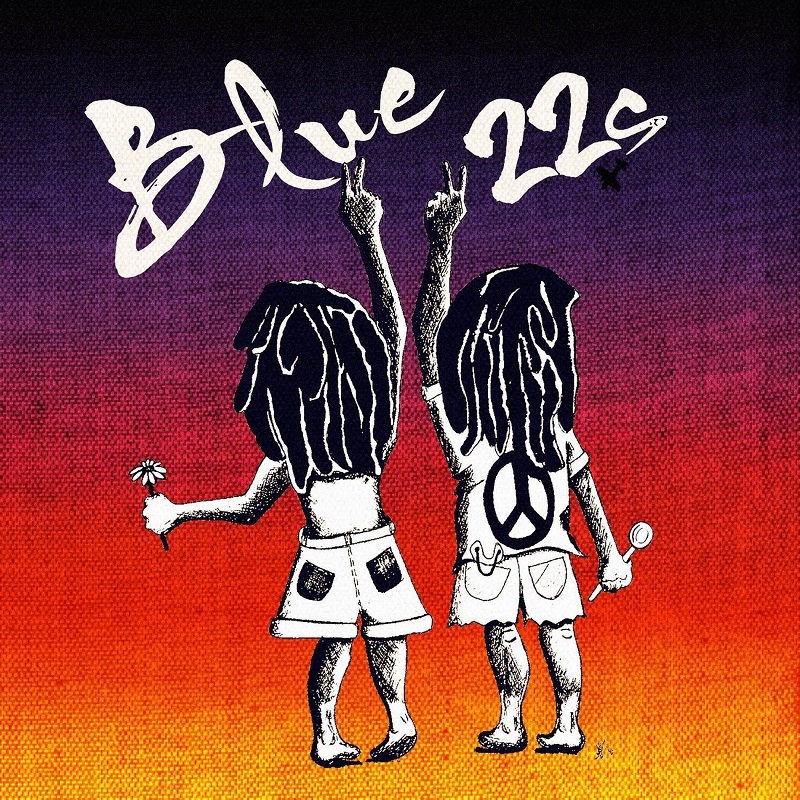 Which brings me to my main point about the E.P: Blue22 may well be an extremely entertaining live band, but this debut feels like a cobbling together of ideas and personalities, rather than a well-polished, united sound. It’s hard to know where and what their message is? And if they’re looking to grow, it’s important for them to figure out what that message is, lest they burn out. After all, there are only so many songs you can write about “Ganja” and girls being “naughty”, it all feels a “little high-school band at prom” but with the potential to be so much more. Which is to say that it’s not all doom and gloom! The E.P itself is not unpleasant to listen to, and some of the songs are catchy, fun, and imaginative. It’s a revival of reggae and a celebration of “good vibes”, full of easy harmonies and invitingly head-bopping beats. These are the simple lyrics and honest truths that are indicative of a band finding its feet. Let’s hope they find their way.